I am guessing that many prospective buyers of Michael Burlingame's Abraham Lincoln: A Life are unaware that only the direct quotes are cited in the print version. It's not there yet, but at some point the complete documentation will be available online at Knox College's Lincoln Studies Center*. All this is covered by Burlingame in the text, but Johns Hopkins really ought to disclose this on their own web page. Too bad they couldn't have burned the documentation onto a CD for the print buyers a la the 1000+ pages of footnotes from Bugliosi's recent massive Kennedy assassination tome. On a different note, someone (I can't recall whom at the moment) has asked more than once if I've heard any news about the new edition of the Gideon Welles diary. This answer is still no, but this LSC page has a little info about its progress. * - I seem to recall Burlingame mentioning in a television interview that the plan is for the entire study to be posted to the web, to be subject to ongoing revision and discussion. 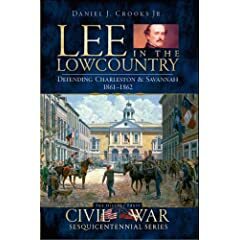 Crooks, Jr. : "Lee in the Lowcountry: Defending Charleston & Savannah 1861-1862"
Lee in the Lowcountry is a broad survey of Robert E. Lee's state and Confederate military service in the year plus following his resignation from the U.S. army, beginning with Lee's organization of Virginia's defenses through his appointment as commander of the Army of Northern Virginia on June 1, 1862. As the title suggests, the main focus of Daniel Crooks's study is the general's brief but active tenure as commander of the Department of South Carolina, Georgia and Florida. Crooks outlines Lee's preparations for the defense of Charleston, Savannah, and the vital communications link between the two port cities -- the aptly named Charleston & Savannah Railroad. Much of the story is told in the words of the participants. Lengthy excerpts from private and official correspondence (much of it from Lee himself) are inserted into the narrative. This is fine, but I wished for a more critical assessment of Lee's defensive strategy for his department, more specifically an examination of whether a large scale abandonment of the sea islands between Charleston and Savannah was a wise move or an overreaction to the perception of unstoppable Union naval might and amphibious operations ability post-Port Royal. The Union perspective, mostly from the viewpoint of Lee's ranking opponent, Brigadier General Thomas Sherman, is not neglected. The Rhode Island general successfully placed his command in a position to threaten multiple points, but was unable to exploit his early gains by capturing Charleston or Savannah, or, absent that, severing their rail link. However, there does seem to be a question as to what Sherman was expected to be able to achieve with the relatively small force at hand. With a bibliography almost entirely composed of secondary and published primary source materials, Lee in the Lowcountry is a work of synthesis. Considering the large gap in the literature covering this period of Lee's military career, the lack of fresh material comprises something of a missed opportunity. However, while the lack of footnotes and sparse detail will likely not satisfy scholars or serious students, beyond a few typos there is nothing particularly wrong with Crooks's account. As is the custom from this publisher, the volume is appealingly presented, with a liberal sprinkling of photographs and other illustrations. History minded area residents and interested general readers -- likely the book's intended audience -- will get a straightforward, lively, and broadly accurate summary. 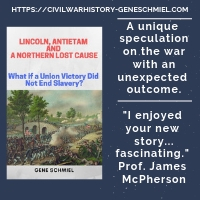 A part of the publisher's Civil War Sesquicentennial Series, Lee in the Lowcountry can certainly contribute to captivating and reawakening interest in local South Carolina Civil War history and hopefully will inspire many readers to dig even deeper. In addition to numerous articles and essay contributions, Bruce S. Allardice is the author or co-author of several well regarded reference books, More Generals in Gray (LSU, 1995), Texas Burial Sites of Civil War Notables- A Biographical and Pictorial Field Guide (with Jim Mundie, John Luckey and Dean Letzring; Hill College, 2002), Confederate Colonels: A Biographical Register (Missouri, 2008), and most recently Kentuckians in Gray: Confederate Generals and Field Officers of the Bluegrass State (as contributor and general editor with Lawrence L. Hewitt; Kentucky, 2008). DW: More Generals in Gray and Confederate Colonels are unquestionably works of exceptional dedication. What drew you to researching and writing reference books? BA: What drew me to researching and writing reference books? Equal parts intellectual curiosity and stupidity. Perhaps my first Civil War book was Ezra Warner’s “Generals in Gray.” This work was a pioneering and monumental work of scholarship. But in reading it I could see the blanks that needed filling. For years I waited for someone else to build on what Warner wrote, never really thinking to or desiring to write a book. Eventually I decided to take on the task myself. When I started writing, some 15 years ago, I knew there were sources well known to genealogists which had been hitherto neglected by Civil War historians. Plus, online sources were emerging that could provide answers and make such reference works possible. Today there’s so much online information—digitalized old newspapers, censii, even service records—that I could research “More Generals” in half the time it actually took. DW: Authoritative reference books require as much research, and sometimes analysis, as any specialized narrative study, and the best become indispensable standard works to be consulted by a broad range of historians, yet they are generally bypassed on the award circuit. Do you ever feel that writing them is something of a thankless exercise? What groups provide you with the most feedback? BA: I often joke that you have to be crazy to write a reference book. Which perhaps explains why most authors shy away from this scholarship-rich, but reward-poor, field. But when some author emails you saying how much your book helped his, when you see your book listed in the bibliography of another book, that’s reward enough. DW: Could you comment on the contention that perhaps reference works are best published in digital form (allowing for ready correction, updating, etc.) rather than traditional print media? BA: It is clear that digital publishing is the wave of the future. In a small sense we already have a form of digital publishing, with Google digitalizing many recent print publications. Many people only search for information online (in my classes I often see students using the reference site wikipedia to research homework assignments), and their number is growing, so unless a reference work has a digital presence, it might not be as useful to the public. Print books inevitably have a cost to produce, which often limits what an author can put in the book. For example, my colonels book could have been twice as long, with many more photos, if it was an online product. I have that much more in my files I’d love to put in, but can’t in the print format with its limitation on pages. What you say about updating is also true. Print books are set in stone, at least until a 2nd printing, and just in the last two months new online resources have provided new information on many officers. I urge anyone who wishes to know more about any officer in my books to contact me via my website, www.civilwarbruce.com. However, while very few Civil War authors write books to make money, those authors want to make enough to at least cover the out-of-pocket expenses in researching the book. Book royalties more or less cover those expenses. With all the hours I spent on the colonels, I figure I’ll make in royalties $1-2 per hour spent—not as much as I could make flipping burgers at McDonald’s! Putting the work online wouldn’t even garner that much. DW: Yes, it really is a Catch-22 for authors. There certainly remains a disconnect between paying for content when it comes to format -- paper vs. digital, as the early Internet created a user culture expecting the content to be free. Online publication makes cut-and-paste plagiarism easier, as well. Anyway, back to the questions. You’ve published many articles of a military history nature. Do you have plans to delve into book length narrative history at some point? BA: Yes. Just have to find the time. DW: As a lifelong Illinois resident, what led you to devote so much of your Civil War writing career (up to this point, anyway) to the Confederate officer corps? BA: I’m asked this question a lot when I give presentations. It’s not because I have any Confederate relatives or Southern connections. Most of my ancestors weren’t even in the U.S. in 1861, and my one Civil War ancestor was in the Union army. When I give a talk “down South” I like to point out that my Union army ancestor, a lieutenant, did more to help the Confederate cause than the Union cause since, in the words of his regimental commander, my ancestor was “the worst company commander in the Union army.” The southern audiences seem to enjoy that comment! I had grown up with Ezra Warner’s two books on Civil War generals and, with my background in genealogy, I felt that there were more “blanks” to fill on the Confederate side than on the Union. The “need” was for more study on the Confederate officer corps. If the federal records had been destroyed at the end of the war like many of the Confederate records had been, I probably would have focused on the Union army officer corps instead. DW: You highlight your demographic findings in your excellent, detailed introduction to Confederate Colonels. Did you find any of the patterns surprising in terms of challenging conventional wisdom or your own expectations? BA: Glad you asked that. I’m a vocal skeptic of the “great man” viewpoint of studying history, tending to focus instead on the underlying fact patterns that shape all leaders' decisions. In studying the Confederate officer corps, I found that the differences between the two main armies (the ANV and the ATN) were vast, and correlated with how successful those two armies were. For example, the ANV drew both the cream of the officer corps, and the cream of the South’s available manpower, for perfectly predictable reasons explained in the Introduction. Conventional wisdom held that the Virginia army performed better only because Robert E. Lee commanded it. While it is true that Lee was by far the South’s best army commander (clearly so, although I don’t worship Lee like a Douglas Southall Freeman would), the Virginia army contained more officers with prewar experience, and more regiments with prewar volunteer militia experience. President Davis would have been foolish to structure the ANV otherwise, because in Virginia the Confederacy could lose the war in a week, whereas in the West it would (and did) take years for Confederate defeats to have the same impact. One finding that I did not expect was that the Confederate officer corps, at least on the regimental level, was made up of men who had military experience at the time they were made colonel. The volunteer soldiers weren’t dummies. They knew that electing an incompetent officer could cost them their lives, so they usually made an effort to elect experienced men. DW: That certainly reinforces some of the conclusions from McMurry's Two Great Rebel Armies. In researching Confederate Colonels, what information did you find most difficult (e.g. missing records, lack of prior research, etc.) to obtain or interpret? BA: Let me first say how Bob Krick’s “Lee’s Colonels” helped. It was relatively easy for me to cover the colonels of the ANV, because Bob had done much of the pioneer work. One problem I ran into was determining exactly WHO was a Confederate army colonel. As the book makes plain, a lot of Confederate promotion records were lost at war’s end. And Confederate army record keeping was never very good to begin with—okay for the eastern armies, but steadily worse the farther west you go. Another problem I ran into was summarized best in the musical “The King and I”, where Yul Brenner points out that mankind’s problem is not what we don’t know, but rather what we know as “fact’ often isn’t fact at all. I spent countless hours going through original records to correct what had previously been written. DW: Working on a project years ago, it bugged me greatly that I could never find a photograph of Confederate General Charles W. Phifer [it seems none exist]. Are there any other “faceless” generals than you can recall? BA: Drew, it’s funny you should mention Phifer, because since writing “More Generals,” I’ve found a hitherto unknown drawing (not photo) of Phifer when he was age 20. Of the other “faceless” MGIG generals, I’ve since come up with images for Philip Luckett, Jeffrey Forrest, Smith P. Bankhead and Charles D. Anderson. Of the regularly appointed generals, there have been questions about images said to be William H. Carroll, James G. Martin, and the Garnetts. The images of the two generals Lane (James and Walter) were mixed up for decades. It is a bit surprising that questions would remain for decades about images of such famous figures. DW: If only I had known! I haven’t had to chance to finish my reading of Kentuckians in Gray yet, but it’s obvious that you and Larry Hewitt were able to assemble a great group of experts to author the book’s short biographies. What are some of the “hidden” difficulties in compiling and editing works of this type and similar ones like essay collections? It is often said that editing essay compilations is far more difficult than it might seem. BA: You’re correct, editing what others write is never easy. Fortunately, we had a great set of contributors for the Kentucky book. The substance and scholarship of the essays was never a problem. It is also fortunate that Larry and I have different ways of looking at things, so when we read the same essay we’d notice different strengths and weaknesses. Whenever possible the latter were eliminated, which resulted in a better finished volume. Perhaps the biggest difficulty with editing such a book is reconciling 30 different styles of abbreviation, capitalization, and suchlike into one more or less uniform style. DW: The list of Kentucky Confederate generals is remarkable for its overall prominence and also for its low number of duds (e.g. Crittenden, Marshall). First of all, would you agree with that assessment, and, if so, do you believe there are any particular factors involved beyond coincidence? BA: I’d agree that the Kentucky generals were very prominent. One reason for that may be that Kentucky’s schools were more developed than those of most states in the south and southwest. You can see how many Kentucky leaders attended Transylvania, attended Centre College, attended St. Joseph—at a time when there weren’t many good colleges west of Georgia. Another factor is that Kentucky had a strong connection to West Point. Of the 39 Kentucky generals, 16 (41%) attended West Point, a much higher ratio than for the Confederate states in general. DW: Finally, do you have any current projects underway that you are able to speak about? BA: I’m writing an essay on the Battle of Ezra Church for a forthcoming book. There are some other projects in the hopper, but I think I’m through with reference works on the Confederate officer corps. I’ll leave the “Lieutenant Colonels” book to someone else! DW: Very good. Thanks for your time, Bruce. Readers, if you would like to know more about the author or his work, visit his personal website [here]. Missouri Brothers in Gray: The Reminiscences and Letters of William J. Bull and John P. Bull (Vol. I - 1998). Reluctant Cannoneer: The Diary of Robert T. McMahan of the Twenty-Fifth Independent Ohio Light Artillery (Vol. II - 2000). Serving With Honor: The Diary of Captain Eathan Allen Pinnell of the Eighth Missouri Infantry (Confederate) (Vol. III - 1999). Missouri in 1861: The Civil War Letters of Franc B. Wilkie, Newspaper Correspondent (Vol. IV - 2000). There are detailed descriptions of these books at the link above, but all are remarkable for their meticulous editing by Banasik. The notes alone make them worthwhile, and each volume is full of useful extras and supplemental materials like unit rosters, orders of battle, casualty lists, biographies, and more. I've been told the Pinnell diary is one of the best in existence from a T-M soldier, so I'll start with that one. The Battle of Chapman's Fort, May 26, 1864 by Warren Ripley (Ashepoo Plantation, 1978). This is a very brief account of a late war Union attempt to break the Charleston & Savannah RR. To get at it, the army planned a dual advance up the Ashepoo and Edisto rivers. The former wing was turned back by a battery at Ft. Chapman. Ripley's is a serviceable account (notes indicate a dearth of source material beyond the O.R., but some very nice color maps) of this bungled operation. 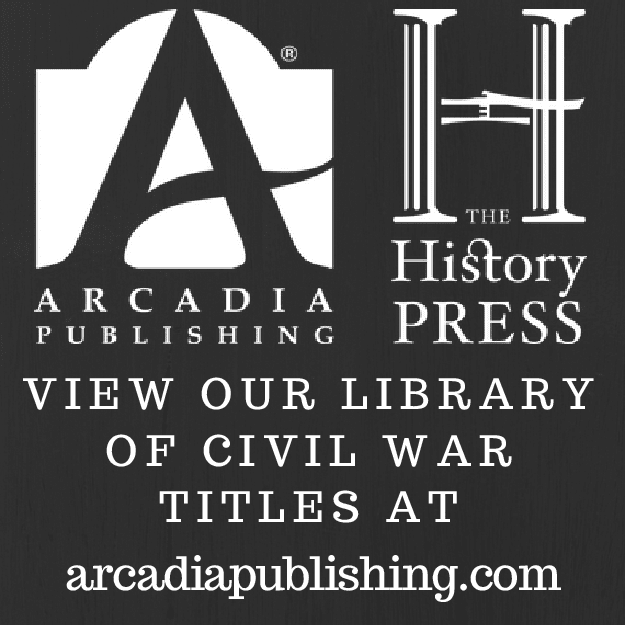 Louisville & the Civil War: A History & Guide by Bryan Bush (The History Press, 2008). I am surprised more isn't written about Louisville and its role in the war. The standard work is still the unimpressive City of Conflict: Louisville in the Civil War, 1861-1865 by Robert Emmett McDowell (Louisville CWRT, 1962). North Carolina author and fellow blogger Michael Hardy has a new book out (co-written with his father) titled "A Heinous Sin": The 1864 Brooksville - Bayport Raid. With hearty cooperation from the navy, such operations were all the rage along Florida's Gulf Coast during that period of the war. Check out his release announcement from his blog. As regular readers might have guessed [from earlier posts here and here], I have a soft spot for books of this type covering raiding operations and other small unit actions inside the Sunshine State. The Problem of Emancipation: The Caribbean Roots of the American Civil War by Edward Bartlett Rugemer (LSU, 2008). This book examines the influence of abolitionist movements in France and Britain, and how they directly led to slave rebellions in the Caribbean, events that were closely followed in the United States. The author takes a broad view of the Anglo-Atlantic world, bringing the Caribbean into the U.S. domestic sphere, while also drawing parallels between Parliament's relationship with its West Indian colonies and the U.S. federal government's with the South. I am about 1/3 of the way through, and it's a fascinating study. Mutiny at Fort Jackson: The Untold Story of the Fall of New Orleans by Michael D. Pierson (Univ. of N. Carolina Press, 2008). I'm reviewing this one for a magazine, so I won't be writing another here, but I do intend some kind of commentary. Wiregrass To Appomattox: The Untold Story of the 50th Georgia Infantry Regiment by James W. Parrish (Angle Valley Press, 2008). Parrish's study is another fine looking regimental history from AVP -- solid research, a serious accounting of the unit's campaign history, lots of photos & maps, and a great array of extras. 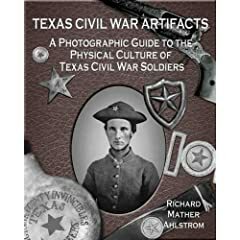 Ahlstrom: "Texas Civil War Artifacts: A Photographic Guide to the Physical Culture of Texas Civil War Soldiers"
Texas Civil War Artifacts is a comprehensive and detailed visual guide to the clothing and equipment that the state of Texas produced for its Civil War fighting men. Author Richard M. Alhstrom devoted eight years to the research, compilation, and photographic presentation of these materials. The effort shows, and the range of material items is exhaustive. Chapters are devoted to insignia, belt buckles and plates, horse equipment, pistols, shoulder arms, swords, knives, buttons, leather accouterments, canteens, uniforms, and headgear. Each chapter begins with a brief (1-3 page) annotated introduction. Each artifact or artifact group is presented by two pages, the right face is a full page photograph, while the left documents the artifact. The documentation, also annotated, provides information on the item's provenance, type, dimensions, and construction, as well as additional remarks. Noting the rarity of photographs of uniformed Texas soldiers, Ahlstrom provides a chapter length image gallery, with enlarged photograph on the right and caption on the left. The captions note the name of the subject, plus commentary on his clothing and equipment. An appendix comprises a Texas regimental order of battle, arranged by state, and sub-categorized by campaign. A bibliography and index round out the volume. The book is well constructed with quality materials. Spine and boards are cloth-covered, and, as with the better photographic studies, a heavy gloss paper was used throughout. Durability, an important concern for an exceptionally heavy reference book of this type, will likely not be an issue for this robust, thread-bound book. Texas Civil War Artifacts will be valued by a wide range of readers, from historians, researchers, and museum curators to collectors, auctioneers, antique dealers, and photography enthusiasts. 2008 was a bit of a banner year for the publication of useful reference works, and this one was a worthy addition. Clash of Extremes: The Economic Origins of the Civil War by Marc Egnal (Hill and Wang, 2009), another espousing the primacy of economic factors in leading the country to Civil War, aroused my curiosity, not because I have a particular affinity for that line of argument, but because the author appears to be a well respected historian. I am personally unfamiliar with his prior publications, but, while two books currently in print with Oxford Univ. Press doesn't make one unassailable, they count for something. I haven't plunged any deeper than the book jacket yet, and, though it promises a broad new reinterpretation of the economic theme, I am hoping there is much more to it than the established arguments promoted therein. We shall see. Antietam, South Mountain & Harpers Ferry: A Battlefield Guide by Ethan S. Rafuse (Univ. of Nebraska Press, 2008). The best guide series going. Pretty good regional balance, too. Hope they keep it up. Soldier Life—Many Must Fall: Two Civil War Narratives. True Histories of the 14th Iowa Infantry in Camp and Combat, Told by the Wolf Creek Rangers of Tama County by B. F. Thomas and Peter Wilson (The Camp Pope Bookshop, 2008). The book can also be purchased from the Traer Historical Museum, 514 2nd St., Traer, Iowa 50675, for $30.00 plus $5.00 postage (Iowa residents add $1.80 sales tax). 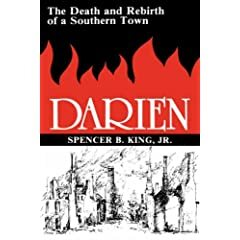 Booknotes - "Darien: The Death and Rebirth of a Southern Town"
Viewers of Glory will recall Darien as the town looted and torched by Robert Gould Shaw's reluctant 54th and the all too eager jayhawker Col. James Montgomery and his undisciplined 2nd Regiment, South Carolina Colored Volunteers. [For an interesting take on Montgomery, I recommend: Dirck, Brian. “By the Hand of God: James Montgomery and Redemptive Violence.” Kansas History 27 Spring/Summer 2004, , pp. 100-115. (republished in Virgil Dean's Kansas Territorial Reader and viewable online here)]. Even though Darien: The Death and Rebirth of a Southern Town by Spencer B. King (Mercer Univ. Press, 1981) appears to be something of a promising book length account, I searched in vain for an online review of King's book (a free one anyway, JSTOR must make a killing if people are regularly willing to pay $7 just to read a single review from an old journal), and just ended up purchasing it. This is an all too common refrain, and one of the main reasons behind this blog's existence. The book is still in the mail, so I have no idea at this point if it's worth reading. On a side note, my google search for Darien book reviews brought up a two-part guest host post from 2006 about the burning of Darien [here and here] authored by none other than Harry Smeltzer for Dimitri's Civil War Bookshelf. The content is unrelated to King's book, but worth a read. Payton & Payton: "Mystery of the Irish Wilderness"
Mystery of the Irish Wilderness is the story of Catholic priest John J. Hogan's mission to establish agricultural "colonies" in Missouri for poor Irish immigrants. Much of the text comprises lengthy excerpts from Hogan's own published memoirs describing his journeys and interactions (positive and negative) with the existing populace. Fr. Hogan's efforts were widespread, establishing settlements in SE Missouri between the Eleven Point and Current rivers -- the "Irish Wilderness", now a Federal preserve -- and in far off Chillicothe. However, by war's end, the more isolated wilderness colonies had been abandoned. The narrative of co-authors Leland and Crystal Payton provides background information as well as their own take on the 'mystery' behind the dispersal of the Ozark settlements during the Civil War. Hogan's post-war career is also discussed. The book's presentation is beautiful, with full-color illustrations on almost every page. Both period and professionally executed modern photographs are included. Archival and modern topographical maps also support the text well, giving the uninitiated reader a good geographical orientation. Combined with the quality construction and materials used, the book's physical appearance is impressive. On the downside, while there's a short select bibliography, those with a scholarly interest in the material will not find footnotes or an index. Readers looking for a detailed explanation of why the settlers abandoned their claims and where they went will not find one. 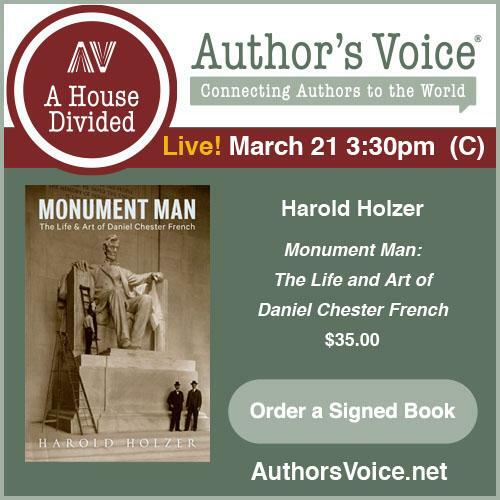 The authors were unable to uncover any conclusive evidence, and Hogan's own writings add little to our understanding, as he traveled to Chillicothe in December 1859 and never did return to the Ozark settlements. What is left is speculation, but the most reasonable conclusion appears to be an incremental dispersal brought on by community isolation in combination with wartime social and economic dislocation -- a fate similar to that of large numbers of communities throughout the southern and border states. As a conclusion, this is perhaps the most reasonable that can be made; however, the text is uncited and the reference material supporting the book's coverage of the civil war years contains unreliable secondary sources such as the work of the late Jerry Ponder, a highly partisan and controversial [I would go so far as to say discredited] regional writer and researcher. Red flags aside, there is more to Mystery of the Irish Wilderness than the war years. The book is a visual feast, with rare insights into frontier missionary work in Missouri and American Catholic history in general. 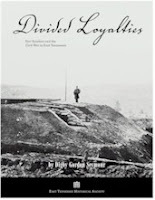 Navigating the three editions of "Divided Loyalties"
The military aspects of the Civil War in East Tennessee have been so neglected in the literature that no book length work has emerged to substantially replace the material presented in Digby Gordon Seymour's centennial-era study Divided Loyalties: Fort Sanders and the Civil War in East Tennessee (East Tennessee Historical Society, 1963). A revised 2nd edition came out in 1982 [ISBN: 0941199002], to be followed by a 3rd in 2002 . Learning about the touted new features of the 3rd (cover art at right), I recently investigated the advisability of upgrading from my rather tattered 2nd edition. Comparing the two most recent editions, it turns out that, while the 2002 release has redone maps, some new illustrations and color photography, staying with the older 1982 edition is actually the better move. The new cartography is not a substantial improvement, and, in the case of the Battle of Campbell's Station map, is arguably a step down. Strangest of all, many of the best full-page panoramic images of the Knoxville defenses from the earlier editions were either reduced in size for the 2002 book or absent altogether. The 3rd edition does helpfully provide a more current overlay map of modern Knoxville itself, as well as updated tour site locations and descriptions, but most of the changes appeared to be a simple rearrangement of the material. In my opinion, the 3rd edition (at $27.95) does not provide enough new material to justify replacing the 2nd, and in several key areas is actually an inferior product. In terms of collectibility, what role the fact that each edition was subjected to major revisions plays in the ultimate value of the various editions is open to question [I wonder what Paul T. thinks]; but, in terms of the overall presentation and usefulness of the material, I would wholeheartedly recommend the 1982 second edition as the best of the three. Williams: "A Revised List of Texas Confederate Regiments, Battalions, Field Officers, and Local Designations"
This valuable pamphlet is a comprehensive listing of field grade officers and units for Texas Confederate, state, and local military organizations. Each entry is comprised of the official unit designation (along with relevant unofficial names, and/or consolidation information) followed by a list of field grade officers. Texas Confederate Infantry and Cavalry Regiments and Battalions. Texas Confederate Artillery Regiments and Battalions. Texas Reserve Corps Regiments and Battalions. Texas Local Defense Troops (Battalions). Texas State Troops - Infantry and Cavalry Regiments and Battalions. Williams notes that the list of local designations or nicknames [e.g. Alamo Rifles = Co. K, 6th Texas Infantry] for Texas units is remarkably incomplete, but he's nevertheless compiled an alphabetized list of almost 500 (pg. 23-33). This section is where readers will find individual batteries, and presumably known independent companies. The inclusion of the state organizations, which are often neglected by the more Confederate unit-focused guidebooks, is particularly helpful. In creating this compilation, Williams consulted a variety of sources -- books, articles, manuscripts, newspapers, and government documents. In addition to his full bibliography, the author also includes a nice, reader friendly index that sorts by officer name, unit type, and number designations. The only suggestions I would make for the next edition would be a separate listing for artillery batteries, and dates of promotion for the officers. This is a very useful reference work that should be on the bookshelf of every researcher of Civil War Texas. Note: Ordering information is available here, or at the title link above.